and Publicity of the PDP Presidential Campaign Organization, Mr Kola Ologbondiyan, the gathering called for on critical investigation concerning the supposed connection between the reportedly diverted military funds and the N1.032 trillion said to have been utilized by President Muhammadu Buhari's relatives for corrupt acquisition of 9 Mobile Nigeria and Keystone Bank PLC. The PPCO calls for an independent and system-wide investigation by the INTERPOL, Directorate of State Services (DSS), and the EFCC on the alleged links between the two funds. President Buhari’s failure to directly speak out on the allegations against his family members, as well as explain how they came about the sum of N1.032 trillion for the alleged acquisition. We make this demand in view of public insinuations that the money may have been sourced from funds meant for the purchase of weapons for our soldiers. More so, the Buhari Presidency has blatantly refused to respond to allegations that military fund is being used to finance President Buhari’s re-election campaign which even manifested in the use of military resources to produce APC’s campaign materials, including an electronic momento book by the Minister of Defence, Mansur Muhammad Dan-Ali. The PPCO is deeply worried by the disturbing videos of our gallant soldiers languishing and being killed by insurgents due to neglect and failure of the Buhari administration to adequately equip them in the fronts. The PPCO is also unhappy by similar videos, showing our soldiers protesting and threatening to retreat from the fronts, while grumbling against their neglect by the Buhari administration. This should not be the way to go for our nation. Our soldiers are brave and have continued to show the highest form of professionalism and unmatched patriotism in risking and laying down their lives in defence of fatherland. Therefore, any action by anybody that is capable of reducing their morale in the fronts must never be allowed. The PPCO invites Nigerians to continue to be at alert and give all support to our fighting troops as the fight against terrorism in our land must continue to be a collective effort. We therefore insist on this inquest and urge Nigerians to give their support in this regard. Also, the attention of the PPCO has been drawn to a vicious attempt by the All Progressive Congress (APC) to use diversionary tactics to dismiss allegations of corruption hanging directly on President Muhammadu Buhari. The APC is attempting to dismiss revelations that family members of President Buhari’s involvement in acquiring substantial shares in both the 9 Mobile and Keystone Bank Plc that is worth over a N1 trillion. We want Nigerians to note that the PDP had already challenged President Buhari to personally speak out on these allegations. We note that President Buhari had the occasion of the launch of his campaign in Akwa Ibom last week and his New year address to deny these grave allegations but he decided to shy away from it. 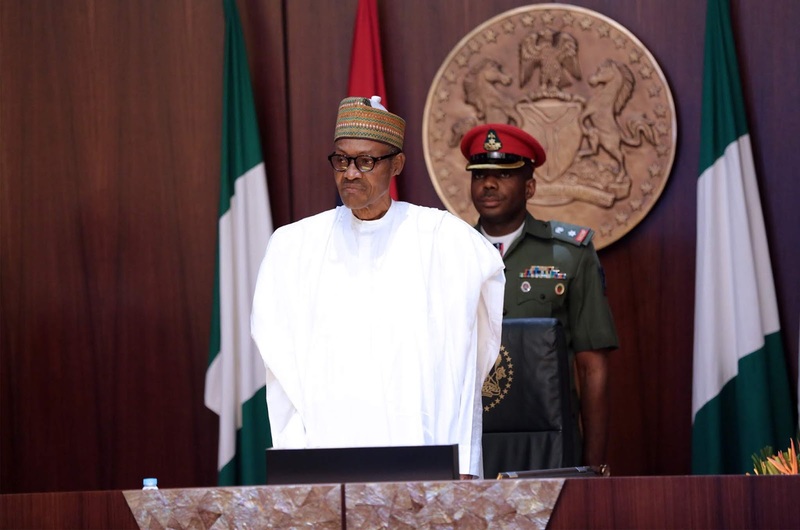 The PPCO unequivocally stands by its actions that President Muhammadu Buhari has soiled his hands on corruption enrichments and has resorted to sending his aides to put up frivolous defenses. We hereby insist that Mr. President should rise in defence of his best-selling point-assumed integrity-by personally responding to the 9 Mobile and Keystone Bank-gate. The PPCO cautions the Chairman of the Independent National Electoral Commission (INEC), Prof. Yakubu Mahmood to immediately disentangle himself and his commission from the fresh plot by the APC and the Buhari Presidency to compromise the electoral guideline and pave the way for the alteration of the results of the 2019 general election to favour President Buhari. We urge Prof. Yakubu to note that Nigerians are already aware of the pressure being placed on him by the Buhari Presidency and APC seeking to force the commission to drop the display of results at the polling units as well as the electronic transmission of polled figures to INEC server from its guidelines. The Buhari Presidency is desperate to remove these requirements because the display of results at the polling units ensures that results posted at all levels remain those originally announced at the various polling units, while the electronic transmission to INEC server ensures that the results from the polling centers are not tampered with. PDP also demands that INEC allows both local and international observers to its situation room to ensure that the final figures are not tampered with. The APC and Buhari Presidency are mounting pressure on INEC to drop the requirements so as to pave way for their planned alteration of results and allocation of fictitious figures to President Buhari during the collation process. Prof. Yakubu must not succumb to the pressure of the Buhari Presidency, because doing so will definitely set him on a collision course with Nigerians. #This demand has become imperative in the face of allegations and public apprehensions that the INEC Chairman is being offered humongous sums of money, running into billions of naira, by agents of the APC and the cabal at the Buhari Presidency to accede to their demands. Information at our disposal further reveals that the INEC Chairman has been under pressure from this group said to be coordinated by President Buhari’s blood relation in INEC, who, we are surprised, Prof Yakubu still allows around himself. Prof. Yakubu is now counseled to distance himself from these very dangerous racketeers and the commission from this very dangerous racket, as Nigerians will directly hold him responsible should these two important guidelines that guarantee transparency in the elections suddenly disappear from the INEC manual. It has further come to our knowledge that the INEC Chairman is contemplating the deployment of past National Youth Service Commission (NYSC) members for the 2019 election. The PPCO totally rejects this ignoble intention which is a ploy to use APC card-carrying members as polls officers. It is very instructive to state that the on going ASUU strike has not by any measure evacuated its members from the surface of the earth. Therefore, if INEC sought to use the members of ASUU for the 2019 elections, the on going strike will not be an excuse to deploy APC members. # We totally reject these plots to thwart electoral transparency in 2019 and we invite lovers of democracy and global democratic institutions to show more than a passing interest in our democratic process. On the whole, the PPCO invites Prof. Yakubu to bear in mind that all what Nigerians demand for is a transparent, free, fair and credible election that reflects only the will of the people, as directly expressed at the ballot. Any attempt by anybody, to subvert the will of the people will be highly resisted by Nigerians, in their determined resolve to elect a new President, come February 16, 2019."